Reader’s Digest has been running a series of articles about secrets that people who work in the professional, sales and service industry have been keeping from the public. Recent examples included food servers and ER Staff. Some of the secrets were new to me and other information I’ve known for years. Readers… You have my permission to forward this column to Reader’s Digest. 1. 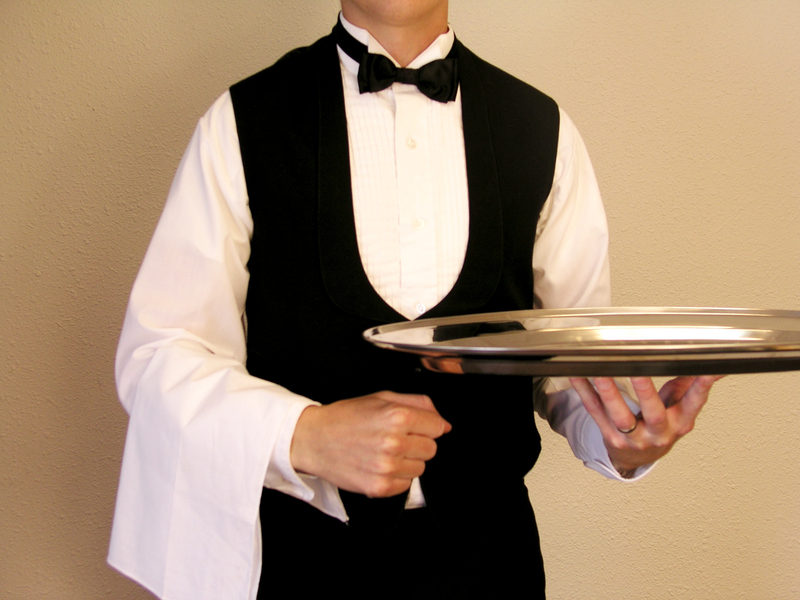 Be a polite and attentive food server and it almost guarantees a big fat tip even if you are a bumbling klutz. 2. If your bathrooms are disgusting, I will not eat in your restaurant because I will be worried what is going on in the kitchen. Employees…If you don’t wash your hands and I see this… I will report it to your manager. 3. If the order comes out less than satisfactory, (ex: overcooked food ) correct the mistake without spending 5 minutes blaming it on the cooks. I don’t care who messed up the order, I am not angry…just fix it…I am hungry! 4. Fast food workers..If I see you handling money and go back to preparing food without washing your hands or putting on a clean pair of gloves, I will not place an order. If your employees go on a break (many of them sit outside smoking in full view of customers) and they come back in without washing their hands, I will never eat there again. 1. If I come in to buy a product or appliance and give you my budget, do not ignore what I have told you and try to upgrade me to a more expensive model. It annoys me and I will most likely leave and go shop with your competition. 2. If I walk into a store and you see me (or walk by me ) and choose not to acknowledge me, I will walk out and shop elsewhere. 3. If you look like you rolled out of bed and came to work with greasy hair and/or dirty rumpled clothes, I will not approach you for help. I will walk over to the “clean and neat” salesperson. p.s. Notice I said clean not pretty or handsome. 1. Dirty, scuffed shoes on a salesman wearing a suit. 2. Filthy nails on a food server or salesperson. 3. Salespeople chewing gum and cracking it in a customer’s face. 4. Salespeople standing around talking to each other and ignoring customers. First impressions can make it or break it for a business. Don’t put a hostess up front in a restaurant who isn’t friendly, a greeter in a store who doesn’t smile or a receptionist in an office who is rude. Customers won’t always complain…They just don’t return! Debi Drecksler’s column “You’ve Been Caught Being Nice” profiled people in the sales and service industry who gave outstanding service.